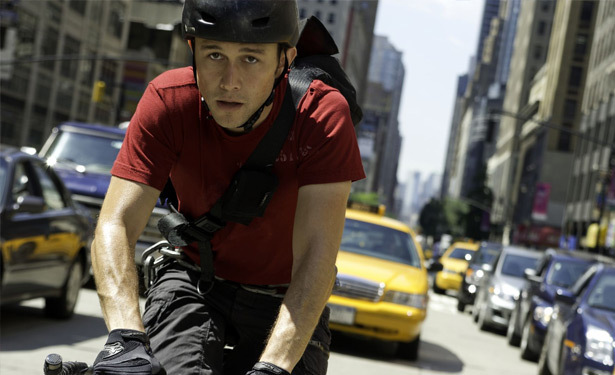 Premium Rush (2012) – Winning. Words. David Koepp has been the brains behind some of Hollywood’s smartest action thrillers, having scripted everything from Jurassic Park and Mission: Impossible to Spider-Man and Panic Room. Premium Rush is the scribe’s fifth directing gig and a departure from his brainiest tension-ekers – as the film’s title suggests, Rush is less about the grey matter and more about the intoxicating adrenaline kick. Set entirely on the streets of New York, Rush follows bike messenger Wilee (Joseph Gordon-Levitt) as he takes on a job delivering a package for Nima (Jamie Chung). When he’s accosted by Bobby (Michael Shannon), Wilee begins to suspect he’s carrying something very important – a suspicion that’s confirmed when Bobby turns out to be a crooked cop who’ll stop at nothing to get his hands on Wilee’s package (so to speak). Zipping through the Big Apple on his two-wheeler, Gordon-Levitt is a likeably unconventional action hero. It’s not the kind of role JGL’s best known for, but the one-time Third Rock From The Sun actor has star quality to spare, and he turns the wattage up considerably for a role that’s as lean as the film itself. Behind the camera, Koepp generally knows what he’s doing, too. The visuals are sleek and inventive, with tongue-in-cheek ‘hazard prediction’ sequences recalling Guy Ritchie’s Sherlock Holmes films. Taking its cue from other NY-lover /Spider-Man/, Rush looks gorgeous and its sun-soaked streets vibrate with a fist-pumping soundtrack that includes The Who and My Chemical Romance.